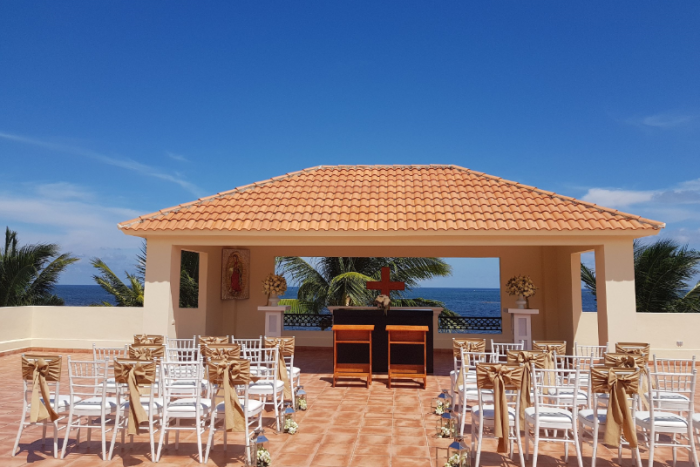 On the edge of the Caribbean waterfront sits the Ocean Coral and Turquesa wedding resort, which offers an exquisite private beach to lie back on the sun loungers and enjoy the peaceful sounds of the ocean. Take advantage of the many themed restaurants for some fun nights and entertainment with your wedding guests! Should you choose to leave the beautiful resort, your destination wedding is also just a short trip away to the exciting sights and sounds of downtown Cancun. For nightlife the poolbar stays open late, with live music and entertainment past midnight. 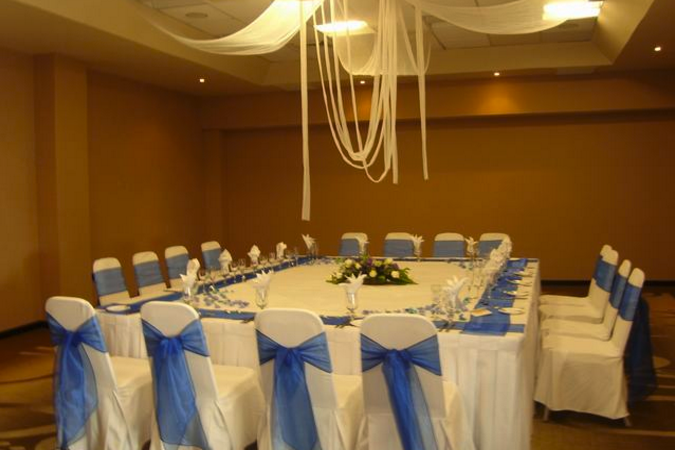 Enjoy your wedding ceremony with all your loved ones at this family-friendly resort, with amenities for children of all ages, including babysitting services, the Miniclub for children, and the Teen Club for children 10 and older. The Ocean Coral Turquesa wedding hotel is split into 4 U shaped sections, one of which includes a water park for children. Beach – 120 guests max, Lobby Terrace – 120 guests max, Pool Terrace – 120 guests max, Rooftop Terrace – 120 guests max, Ballroom – 120 guests max, Gazebo – 80 guests max. The hotel hosts no more than 3 weddings per day, Monday thru Sunday, but they do not perform legal ceremonies on Sundays. All weddings will be spread out so none occur at the same time. $140 – $170 per person per night. There is free wifi throughout the hotel and free parking, depending upon availability. Certain rooms are handicap accessible as well, upon request. Children 3 and younger stay free. There are 591 total guest rooms with garden or ocean views available. The 4-story buildings are spread out along the beachfront. There is private beach access for those who upgrade to the resort’s Privilege Status. Rooms allow up to 4 adults and 1 child. The Master Suite, Royal Master Suite, and Honeymoon Suite are the only rooms that offer a king size bed. Children are ages 12 and younger. 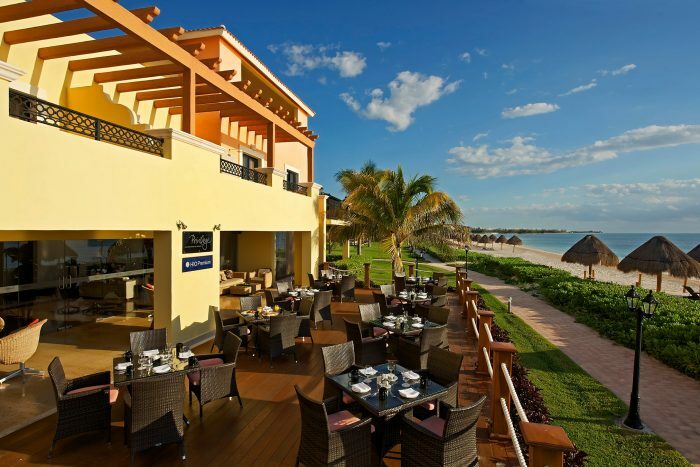 Ocean Coral and Turquesa is 11 miles from the CUN Airport, and 40 minutes from Playa del Carmen and from downtown Cancún. 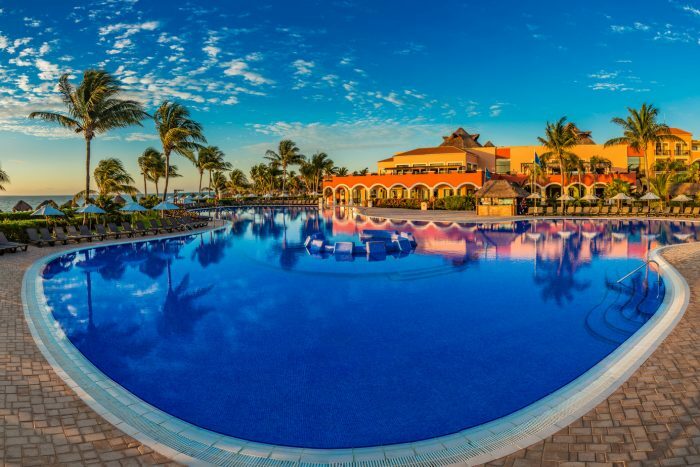 The base package for a wedding at Ocean Coral & Turquesa is $600 and includes 10 guests but complimentary when you book 5 Junior Suites for a minimum of 7 nights. Upgraded packages, additional guests, and add-ons are available for an additional cost. 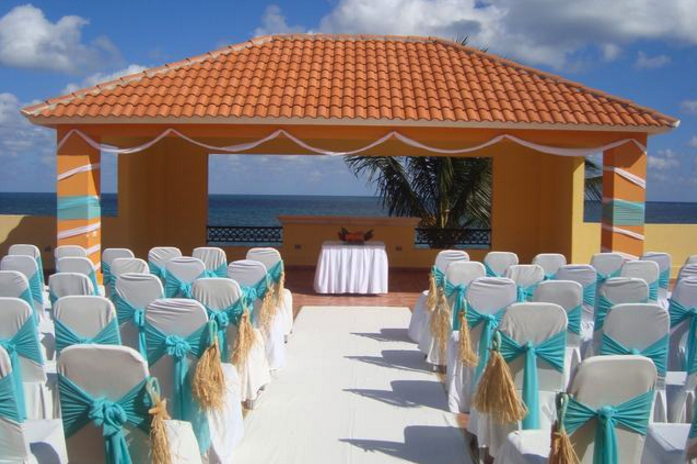 There are 591 total guest rooms with garden or ocean views available for a destination wedding at Ocean Coral & Turquesa. The 4-story buildings are spread out along the beachfront. There is private beach access for those who upgrade to the resort’s Privilege Status. 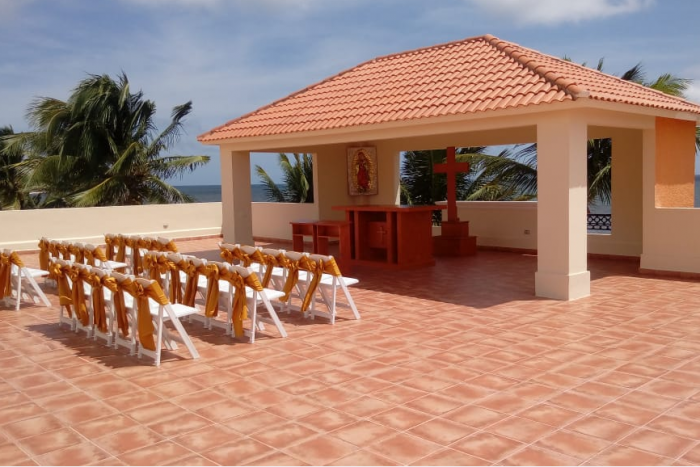 The hotel hosts no more than 3 Ocean Coral and Turquesa weddings per day, Monday thru Sunday, but they do not perform legal ceremonies on Sundays. All weddings will be spread out so none occur at the same time. 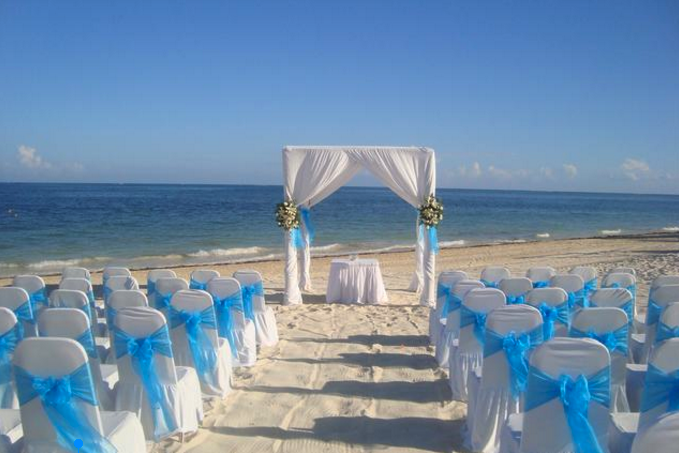 Ocean Coral and Turquesa wedding spot is 11 miles from the CUN Airport, and 40 minutes from Playa del Carmen and from downtown Cancún.